The next 10 years begins today. 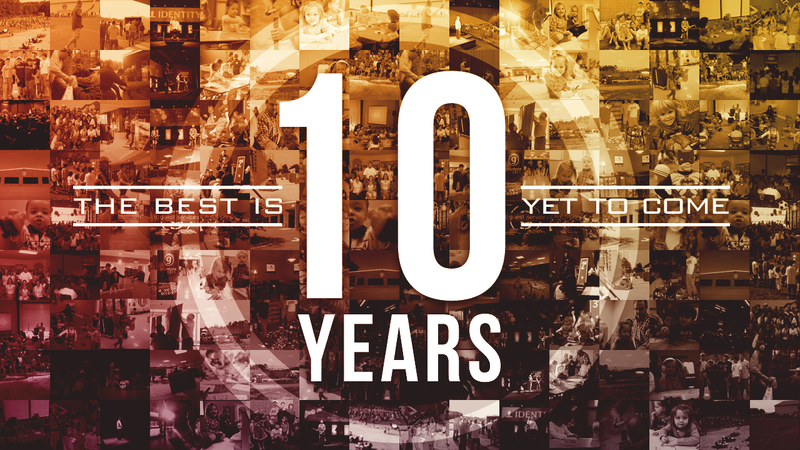 Over the last several weeks we have celebrated the 10 year anniversary of Graystone Church. We first looked at all God has done and the HUGE steps of faith He led us to take along the way. We then spent a few weeks discussing where our ministry is focused: orphan care, serving/reaching our community, and student and children’s ministry (our #1 mission field). I also shared the vision that God has laid on my heart for the next 10 years. It is BIG! And the way that we will reach our vision is through relationships, specifically through life on life discipleship…one man and one woman pouring his or his life into another and seeing it multiplied into a 3rd spiritual generation. Well….the next 10 years begins today. Graystone Church is not a “keepers of the aquarium” church. We are a “fishers of men and women” church. Lord willing, we will continue to advance the gospel, build His church, and expand the kingdom of God into new territory. I truly believe the best is yet to come! In the words of Red from Shawshank Redemption, “It’s time to get busy living or get busy dying.” It’s time to put our hands to the plow and not look back (Luke 9:62). Let’s work as if it all depended on us. Let’s pray as if it all depended on God (which it does). And let’s have the time of our lives being a part of something that is so much bigger than ourselves. In other words, let’s work hard, pray hard, and play hard. The next 10 years begins today!